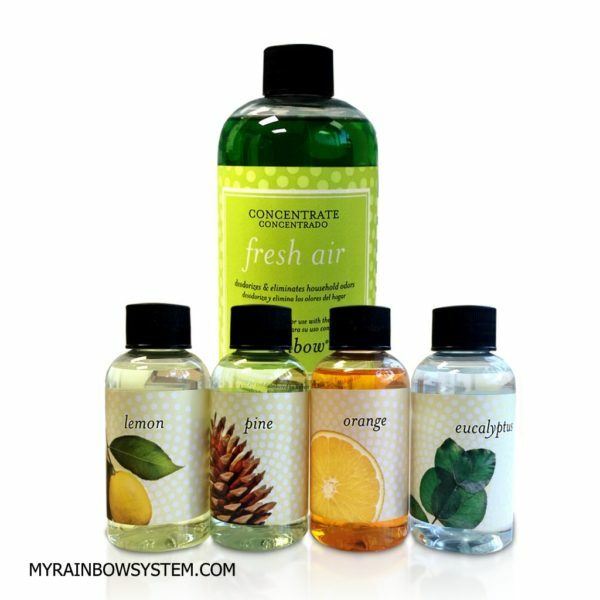 Rainbow Fresh Air with Fragrance Pack, 4 assorted scents, one Concentrated 16 fl oz / 473 ml bottle of Rainbow disinfectant with 4 assorted Rainbow fragrances oil 2fl oz / 59ml. bottles pack. In sale for a limited time only. Rainbow Fresh Air with Fragrance Pack, 4 assorted scents, one Concentrated 16 fl oz / 473 ml bottle of Rainbow disinfectant with 4 assorted Rainbow fragrances oil 2fl oz / 59ml. bottles pack. 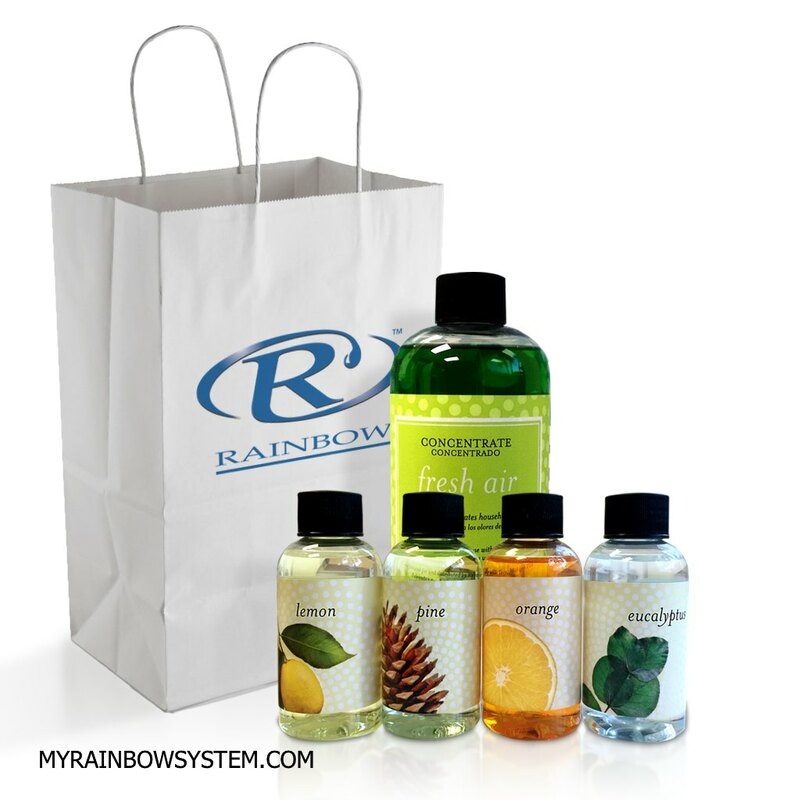 Get a Rainbow air freshener and a Rainbow fragrance pack together and save big money. Everything you need for your Rainbow and Rainmate. With this package you will cover several months of Rainbow Fragrance supplies. The Rainbow Fresh air (former Rainbow Air freshener) is concentrate and last more than 5 months of regular use. A pack of 4 assorted fragrances can last for one or two months. Get rid of your home strong odors like fish, tobacco, pets, fried food, paint, etc. Kill germs and bacterias in your indoor air. Aromatize your home with four differents scents. Made in USA by Rexair LLC.